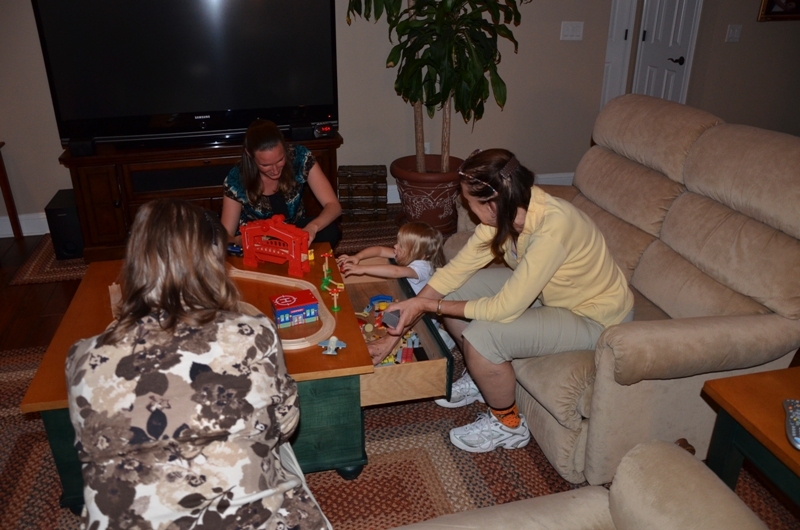 Aunt Martha and Uncle John are in town, so they stop by to visit. 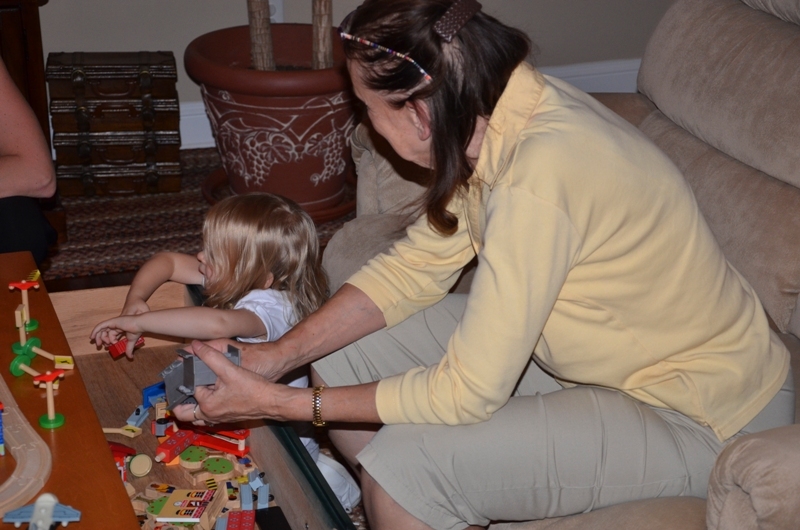 Aunt Martha helps Ella setup her train set. 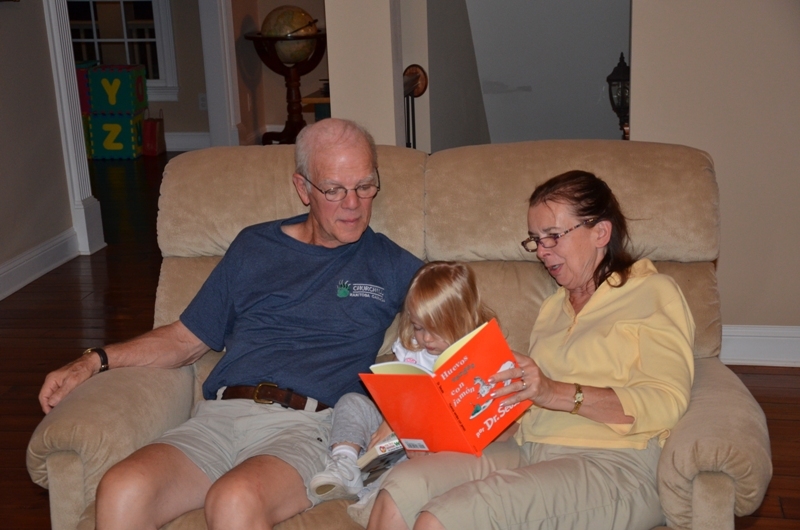 A bit later, Uncle John reads to Ella. 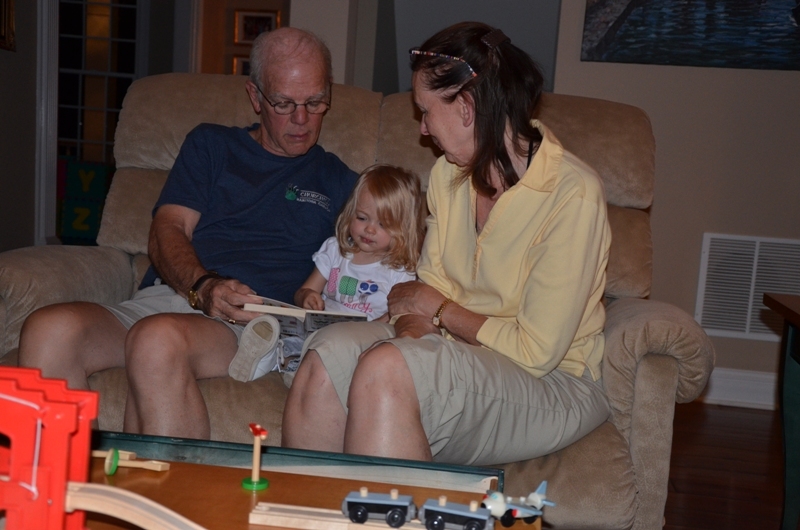 Ella is enamored with "John." 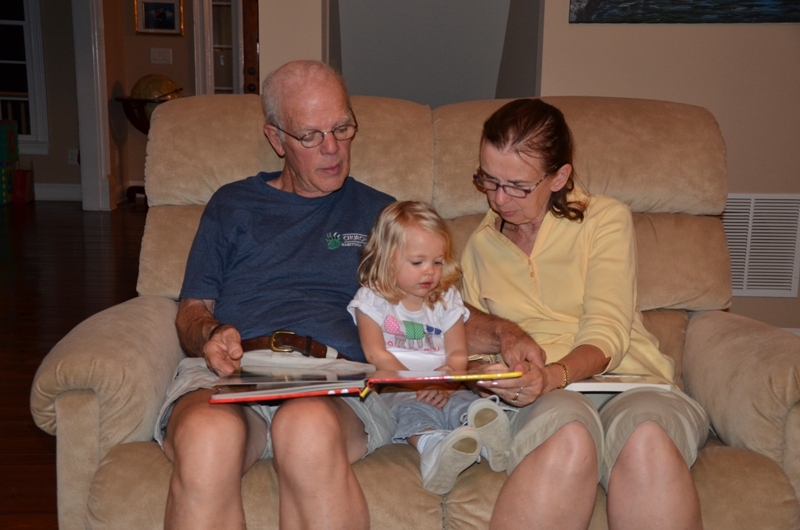 A find-it book of Disney characters is more everyone's speed.